WHATCHYA DOING THERE, BUDDY? PADDLING? 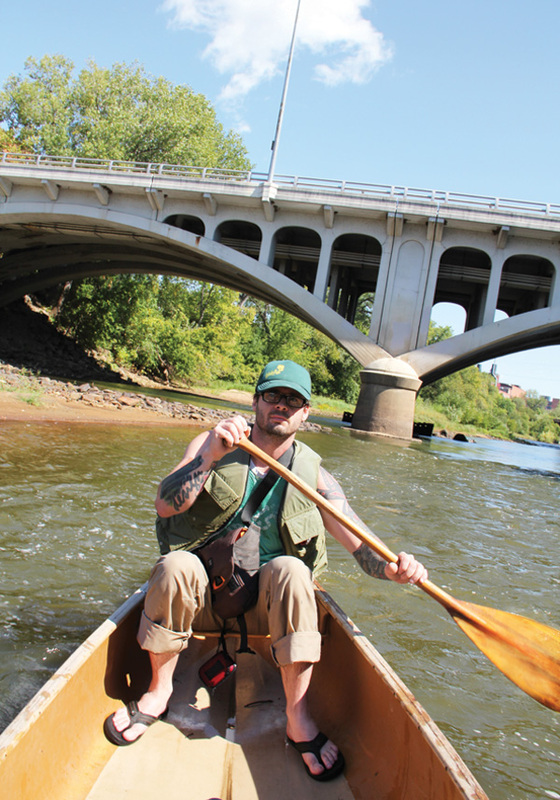 On the Eau Claire River between Dewey and Barstow Streets. That’s the Dewey Street bridge with Banbury Place in the distance.